How Farnsworth says: "Good news Anyone!" Release Date: sometime in 2010. 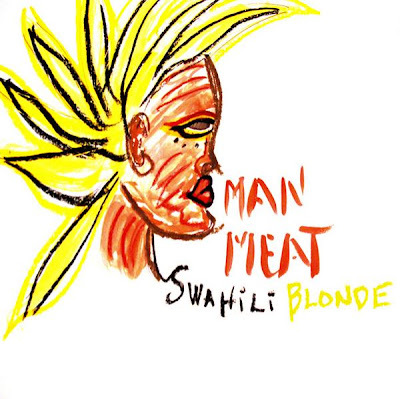 The Swahili Blonde revealed only the cover and the credits of their forthcoming album, Man Meat, which will be released later this year (2010) . 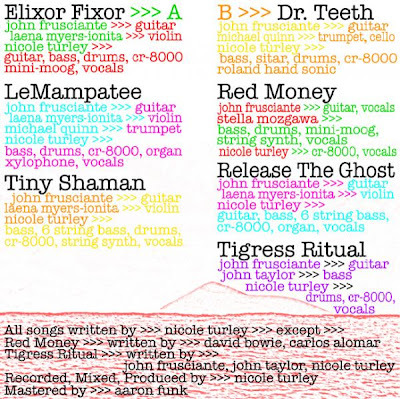 As expected, John Frusciante is playing guitar on all tracks, but he is not involved in the production since it was actually said last year, when Nicole Turley was interviewed for the magazine Tom Tom, however, John is credited for Tigress Ritual next to John Taylor of Duran Duran, while Turley was in charge of mixing and production of all the songs. The mastering of the album was made by another great name - Venetian Snares, or Aaron Funk, a John's partner in Speed Dealer Moms. You can hear the songs from the album on Swahili Blonde's myspace of the band. I cannot buy this in uk at the moment. Everyone seems to be out of stock. I would very much like to have a copy to listen to in the car. Is there a place I can buy from for UK. I tried Play.com, Amazon.co.uk they all are out of stock and have not got any in stock for about 4 weeks now.